We are excited to welcome jewelry historian and author Ruth Peltason to 4 Grigg street on Saturday 28th September for a book signing to launch her newest book: David Webb: The Quintessential American Jeweler. Ruth Peltason has written a number of books focusing on jewelry, including most recently Living Jewels: Masterpieces from Nature, and Elizabeth Taylor: My Love Affair with Jewelry. She also lectures on jewelry around the country. David Webb is undoubtedly one of the 20th Century’s iconic American jewelers. From the time he opened his shop in 1948 at the age of 21, the self-taught jeweler was influenced by a passion for art and ancient cultures. Today the David Webb archives include over 40,000 original drawings, sketches, and production records. This striking book, three years in the making and with specially commissioned photography of 300 pieces of jewelry details Webb’s evolution as an artist and identifies his major collections. All the jewelry has been carefully authenticated, described in detail, and is accompanied by Webb’s drawings. In addition, editorial from leading fashion magazines, photographs of the many women who adored his jewelry and an assortment of ephemera are also included. in anticipation of this event, we have organized a selection of David Webb pieces from their collection. 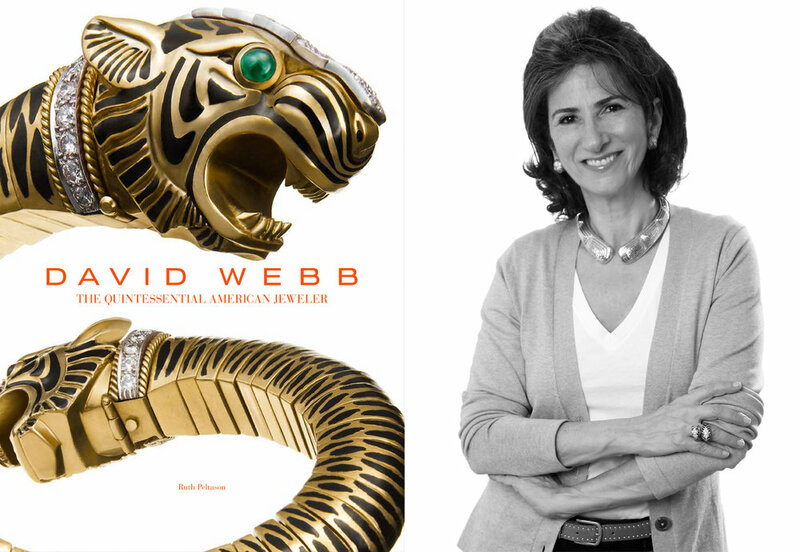 Both Simon and Ruth will be available to discuss David Webb and his iconic jewelry. We have collaborated with our lovely neighbor Diane’s Books for this special event. All sales of the book will be made at Diane’s books, next door at 8 Grigg Street.